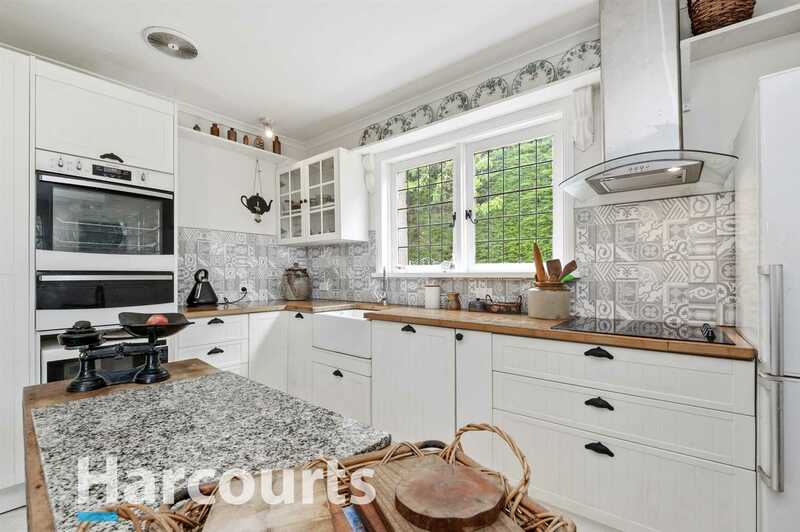 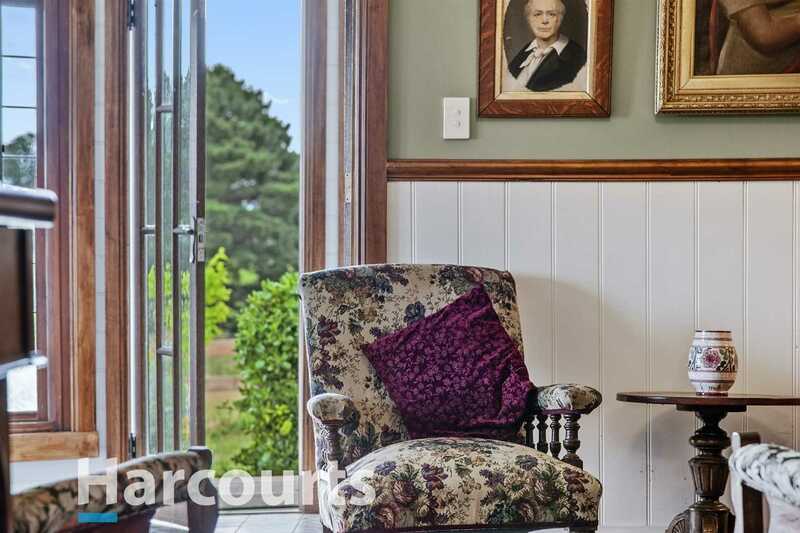 Likely to be this years most charismatic property, it is a must for those seeking a little of yester-year charm, stunning country views and a wondrous sense of space. 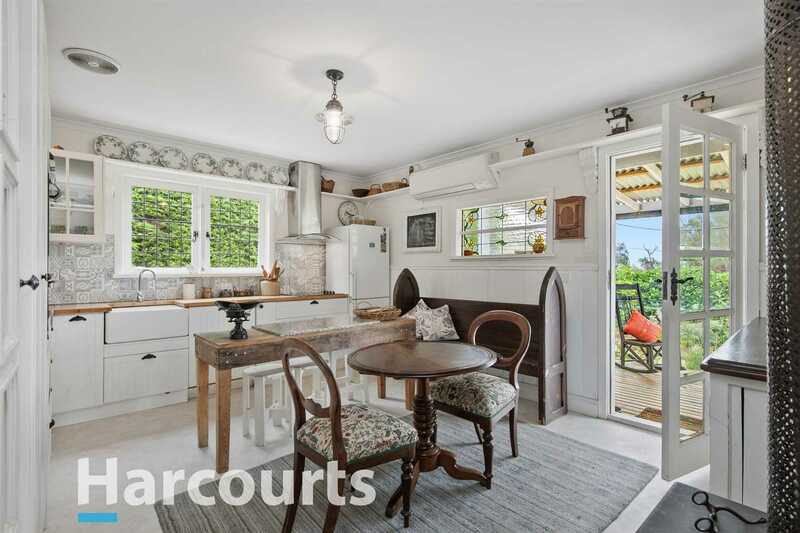 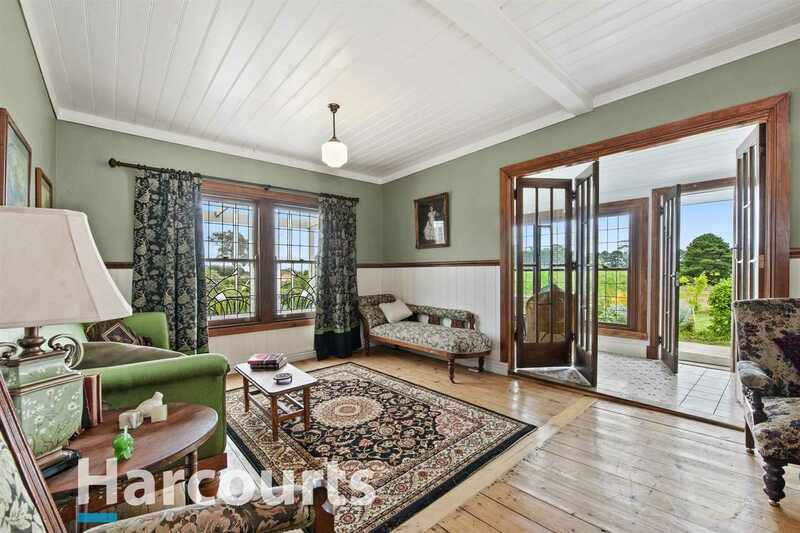 The main dwelling with stunning northern views boasts polished floorboards, colonial and Victorian windows and many more features. 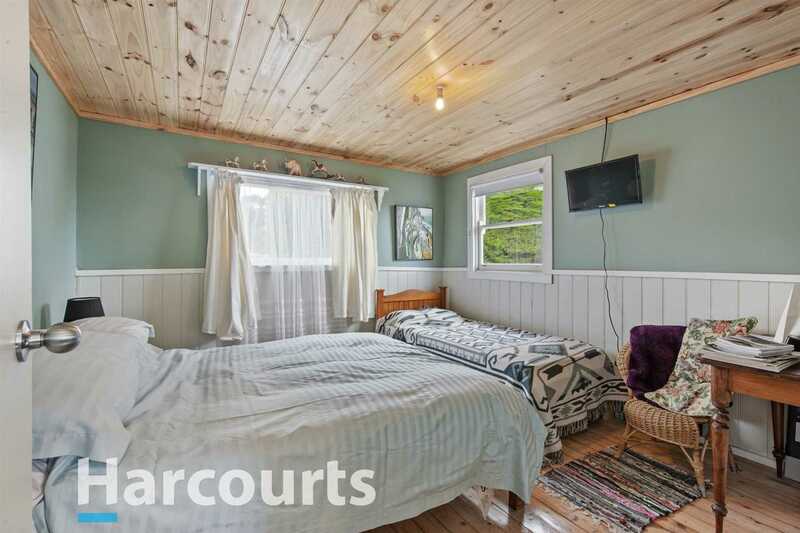 There is one spacious bedroom with much appeal, lounge with fire place and a sun room with French door access. 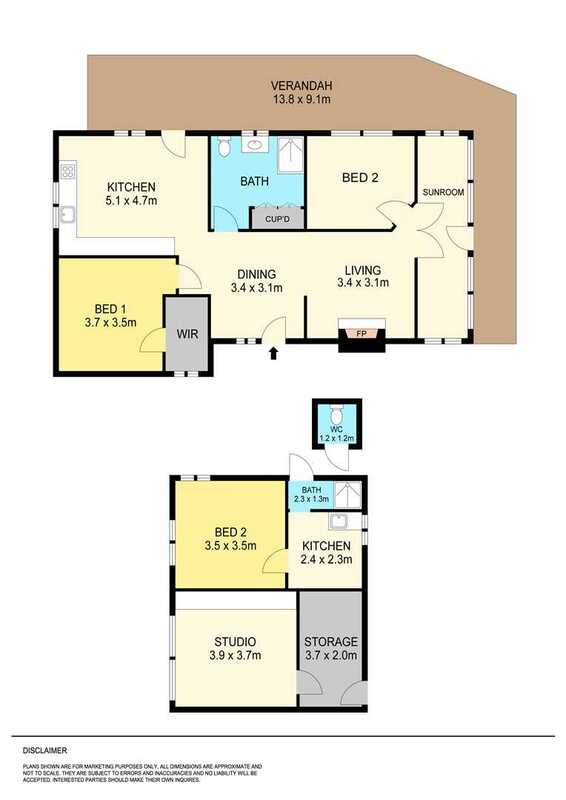 There is also an independent apartment-guest room with kitchen and bedroom and an optional living. 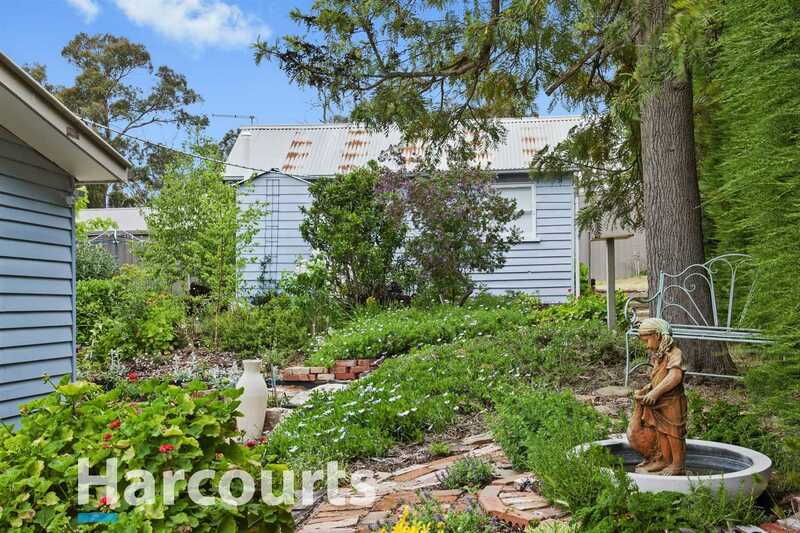 The gardens will delight all year round. 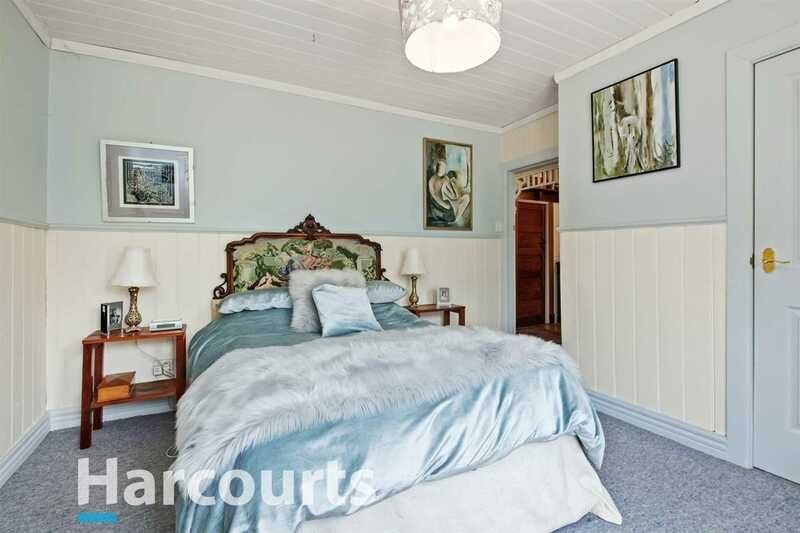 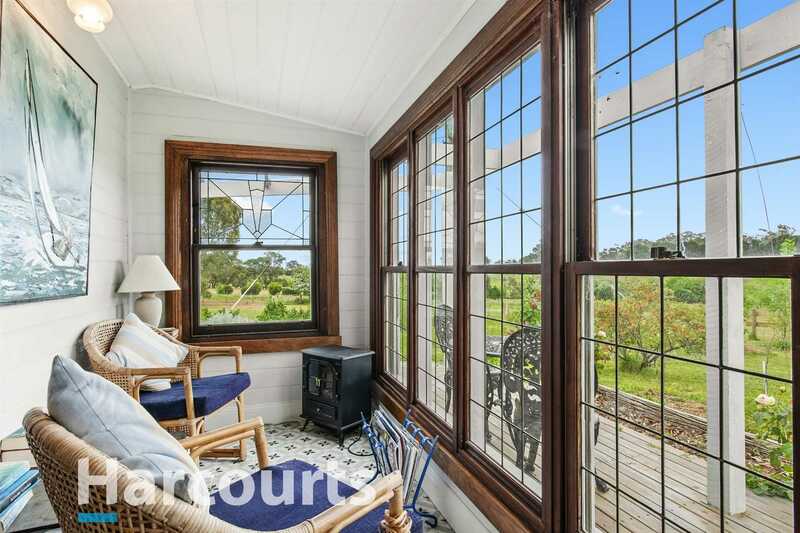 Those looking for the weekender or B&B will find the surrounds appealing. 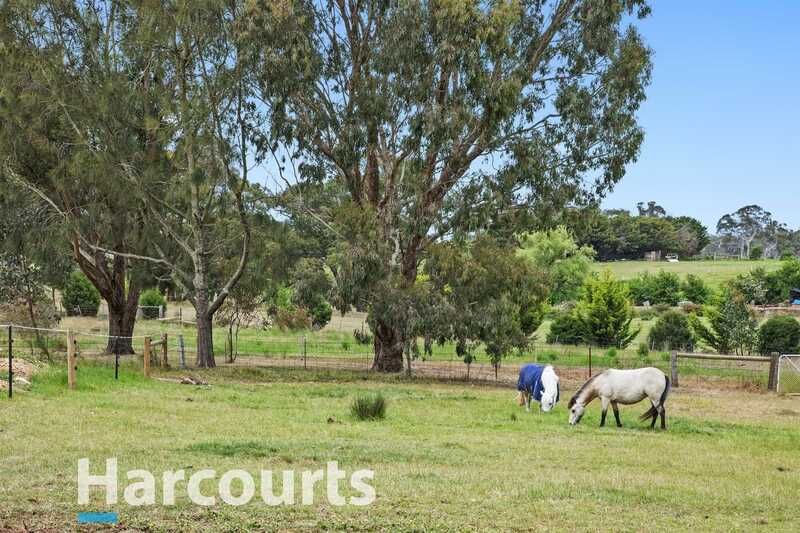 The 15 acres holds 8 paddocks, 200 year old gum trees, stables, workshops and an abundance of shedding. 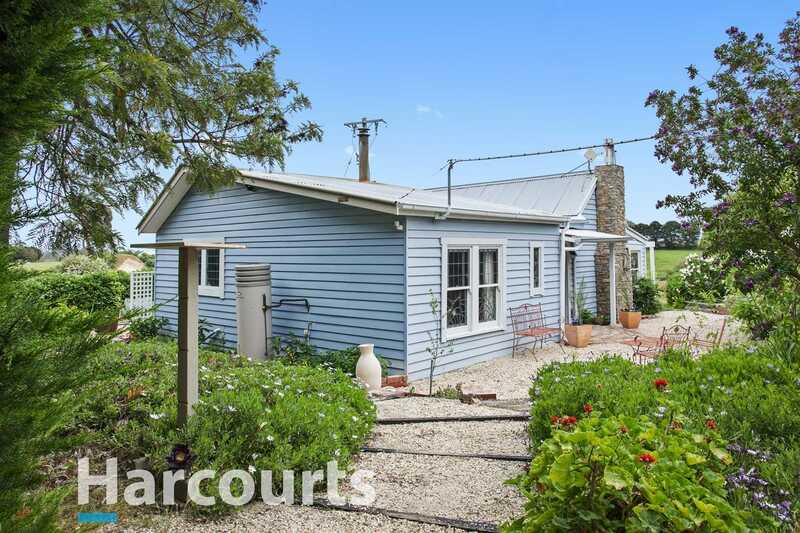 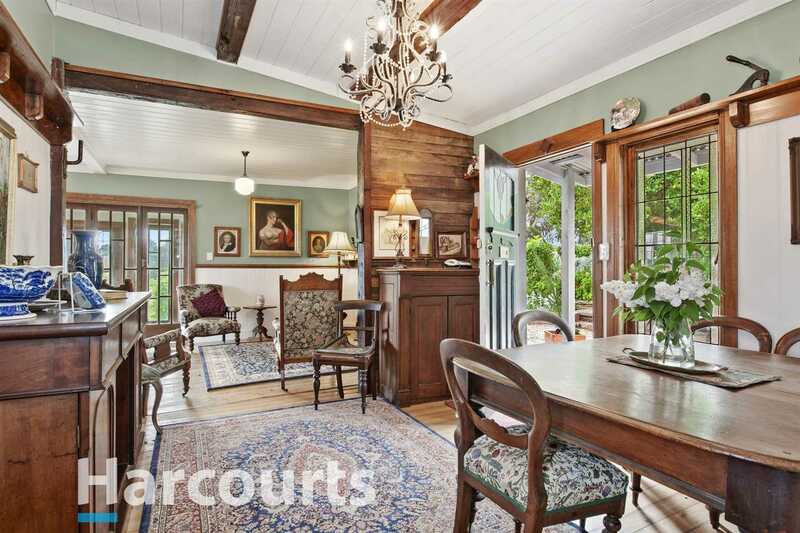 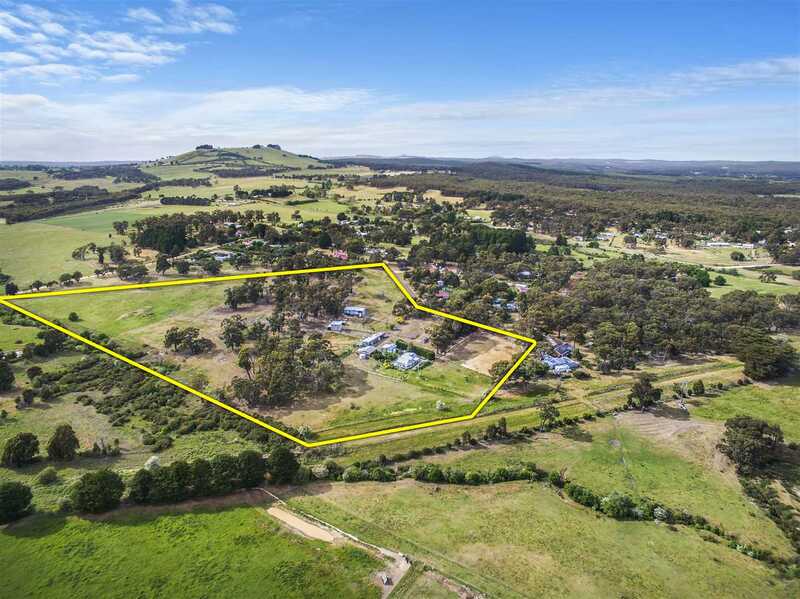 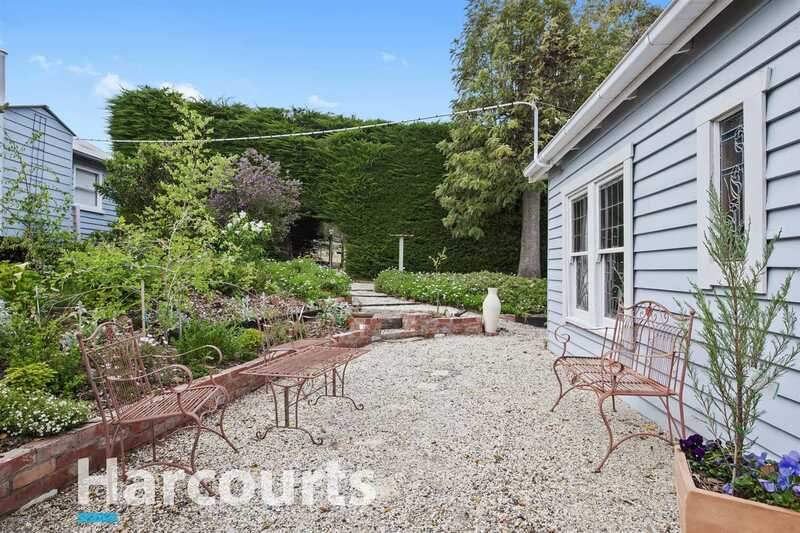 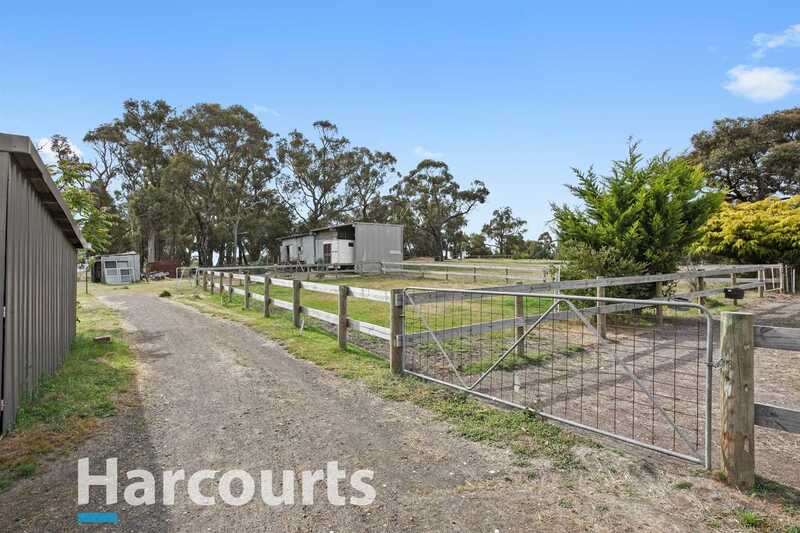 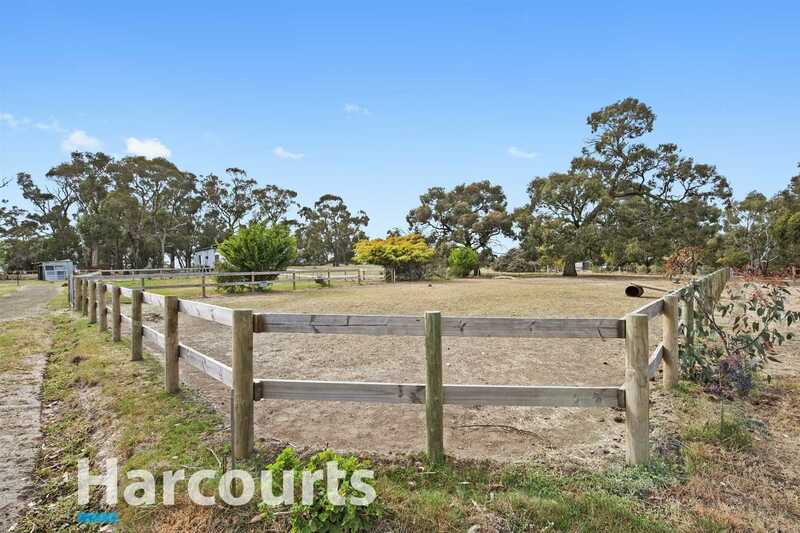 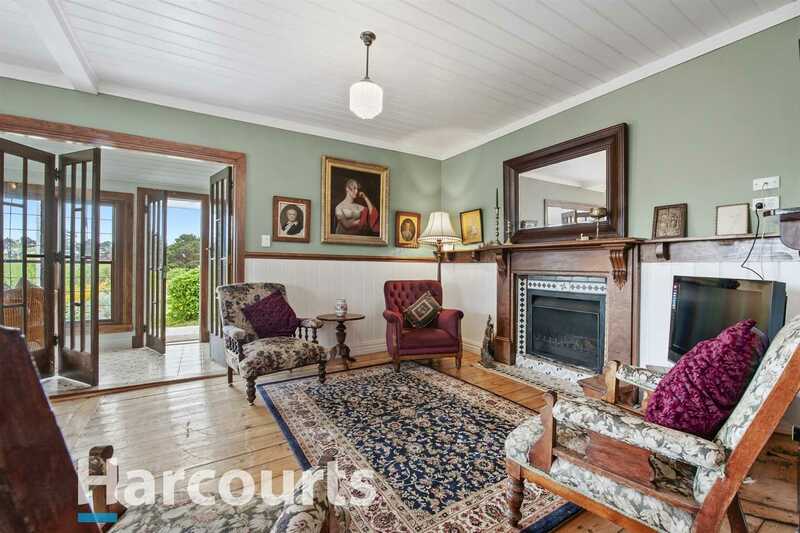 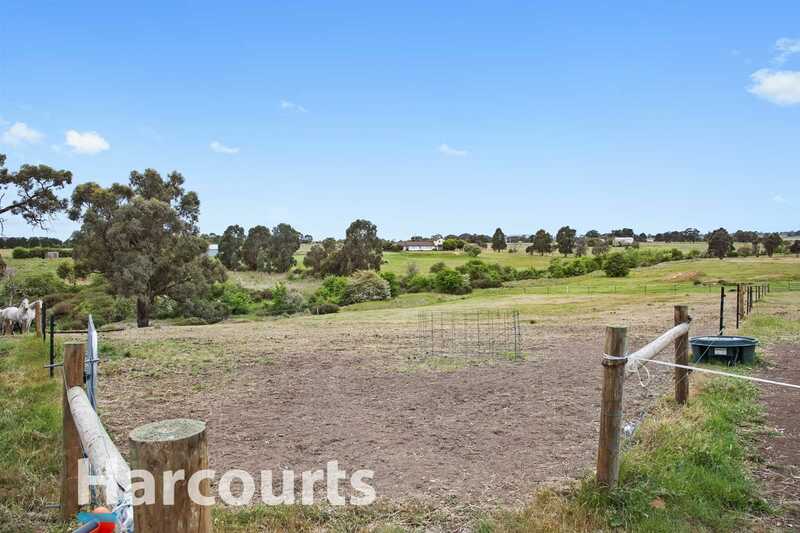 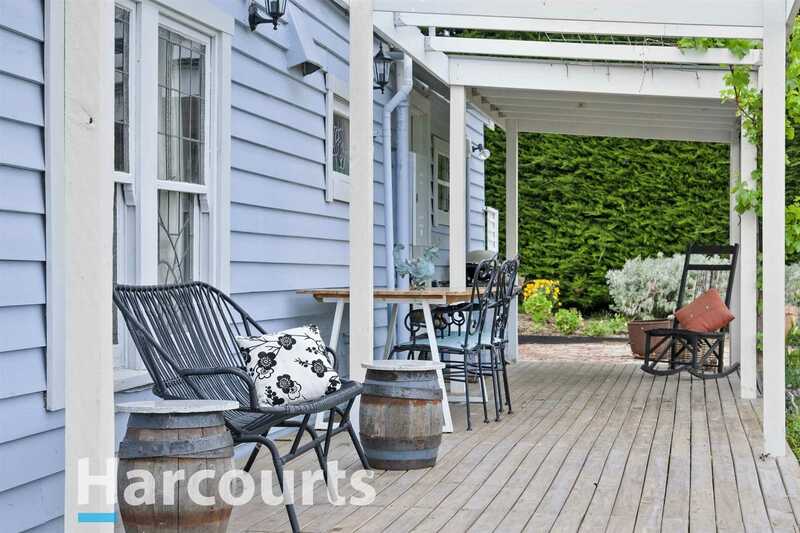 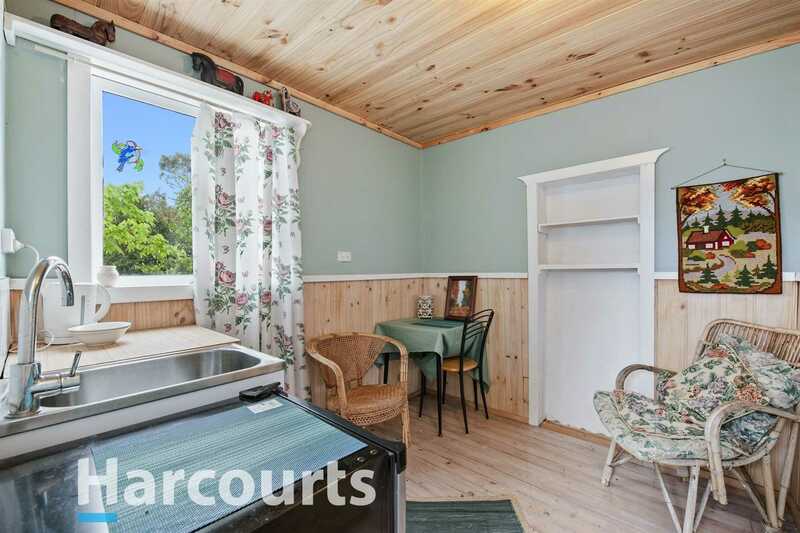 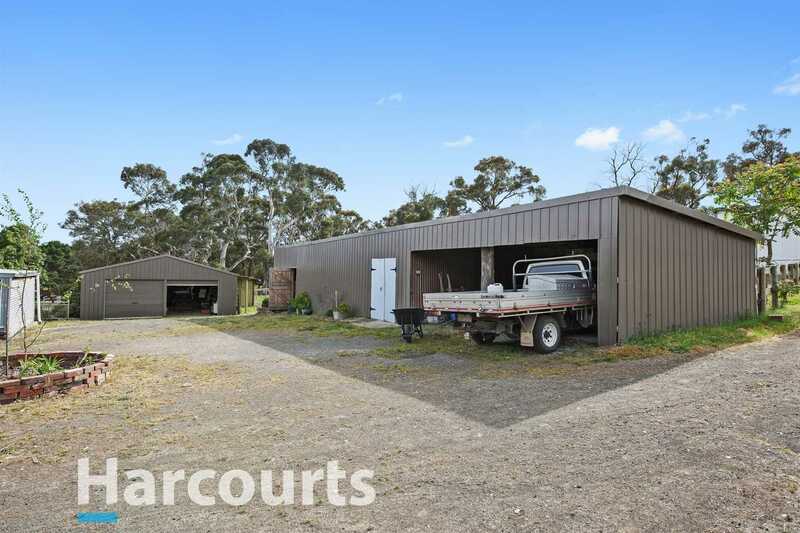 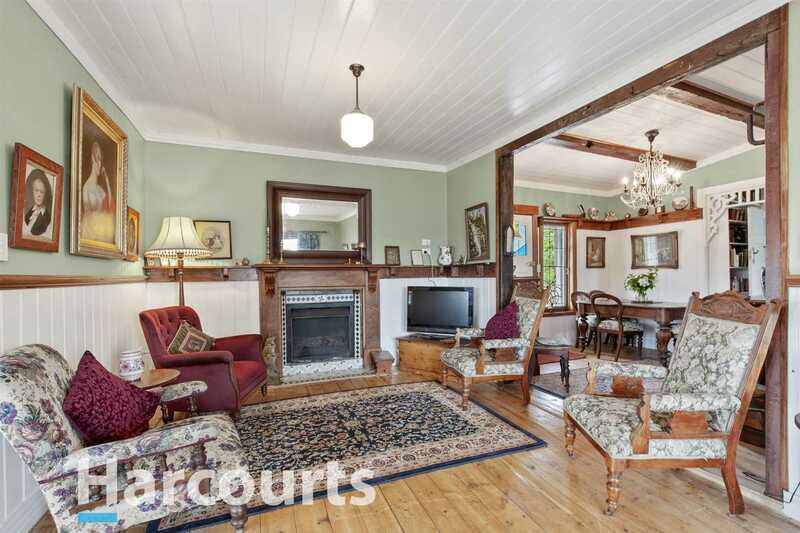 All this just 5 minutes to the hub of Creswick and 20 minutes to Daylesford.